It's the winter solstice, and Christmas ( if you use the Gregorian calendar for such things, which I do not) came a little early today. There was no possible way I was not going to get these figures; a constant thread of gaming out at Phil's was the presence of Anubis The Wonder Dog, Phil's elderly and convivial Black Labrador. Anubis was a delight, as he was polite and friendly, and always ready to be someone you could simply enjoy being with. His only fault, as has been related by the surviving gamers, was a case of flatulence that gave Phil the inspiration for the deadly spell The Creeping Fog Of Doom. So, the Temple of Qon will get new temple guards for their secret shrines in the Underworld, the Temple of Anubis in the 'Cleopatra' Braunstein will get a new squad of infantry, and some Roman legionaries will wish Caesar would get a new girlfriend. The Scorpion Lord and his henchmen are also a delight; new adventurers, if ever I saw some. The genie, which The Missus instantly named Jeannie, is going to be a real challenge to paint; she's in two versions, one standing and one materializing. The latter has her forming from a plume of smoke - coming from her lamp, naturally, and I'm thinking I'm going to use the faithful old Thayer and Chandler Model 'A' airbrush to get the shading from her white plume of vapor to her skin tone. I think that - if I can get her done right - she'll be the most spectacular figure I've ever done over the past forty years I've been painting. The other - and very unexpected!!! 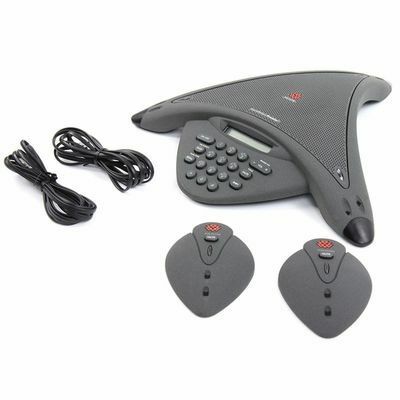 - arrival is a high-end PolyComm audio teleconferencing unit. It works anywhere with any analog phone line, like you'd get from a hotel or convention center, or in most homes. It's very, very portable, and I never thought I'd ever be able to get one for less then the cost of a box of plastic miniatures. I am very, very happy to be able to bring distant friends into my games with a simple phone call - yes, I am fully aware that you can do games on the Internet, but the great thing about this unit is that it will work anywhere. And, what's important to me, it will work first time every time reliably with no fooling around, unreliable network connections, or having to have a full-time IT person on site. I hope our schedules coincide when you get ready to do some long-distance gaming. I'd love to play! I'm sorry; my first reply to you got lost. Hi, although I love Dark Fable miniatures I just wasn't taken with the jackal headed figures. They just looked a bit clumsy to me for some reason. Will probably still buy some anyway. I did however buy the Egyptian style Conan figure last month. Lovely stuff. Will go back and look at the Scorpion king figure. Understood. I think it's because they do look 'stockier' then the human figures in the line, and these particular miniatures are posed largely in one plane. The humans in this batch are more dynamically posed, if that's any help. After a simple image browsing for "anubis miniatures" I believe they look too 'squished' if compared to miniatures from the work of Victoria Lamb or Crocodile Games Miniatures. "of Anubis The Wonder Dog,"